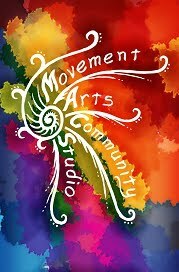 is a space dedicated to movement, music, contemplative arts, and community -- Come Play With Us! The studio is managed by volunteers and fueled by donations from teachers, students, and community members. Join us Tuesdays with Robyn, Thursdays with Brain and Fridays with Kimberly for this great way to start your day!